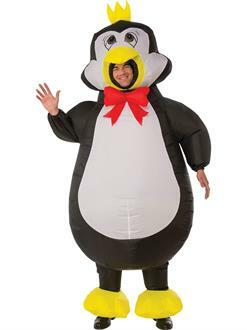 Turn into the coolest bird of the South Pole with our Men’s Penguin Costume. Not only will the jumpsuit will transform you into the world’s largest penguin, but the attached bow tie will make you the most dashing one as well! Meanwhile, the included battery-operated fan will keep you as icy fresh as the arctic no matter what the weather.